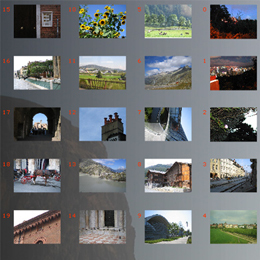 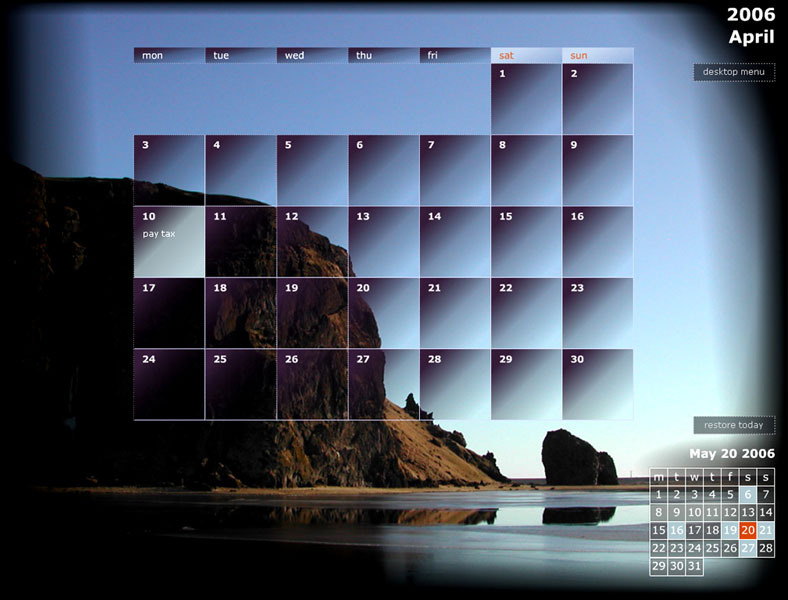 It is a Flash application that resides on the user's desktop, displaying calendar and background images. 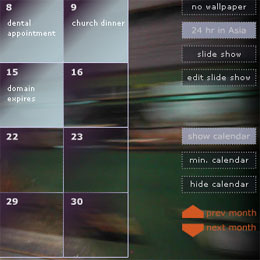 The user can compose their own slide show and make quick notes on the calendar. 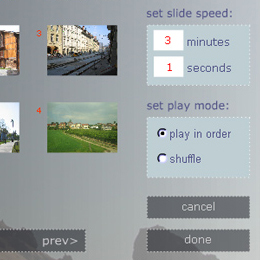 This application has been a shareware on download.com since 2005.